The Nissan GT-R is a multi-dimensional performance machine that lives up to the concept of “the ultimate supercar that can be driven by anyone, anytime, anywhere” and achieved a lap time of 7:38 around the famed Nürburgring Nordschleife, one of the fastest times achieved by a production-spec vehicle to date. Under the hood, the Nissan GT-R features an all-new 3.8-litre twin turbo V6 producing 480 horsepower and 430 lb-ft of torque (estimated), while meeting ultra-low emission vehicle (ULEV) standards. The engine is backed by an all-new, paddle-shifted, GR6-type dual clutch rear transaxle. The new Nissan GT-R is built on an exclusive all-new Premium Midship platform. This new platform enables the use of a world’s first independent rear transaxle ATTESA E-TS all-wheel drive system, which places the transmission, transfer case and final drive at the rear of the vehicle, optimizing weight distribution and maximizing handling capability. Suspension is a special Bilstein DampTronic system, and the braking system is made up of Brembo full-floating drilled rotors, low steel high stiffness brake pads and Brembo mono block six-piston front and four-piston rear calipers. Tires are nitrogen-filled Bridgestone high-performance run flat or optional Dunlop high-performance all-season tires, on exclusive GT-R 20-inch wheels. 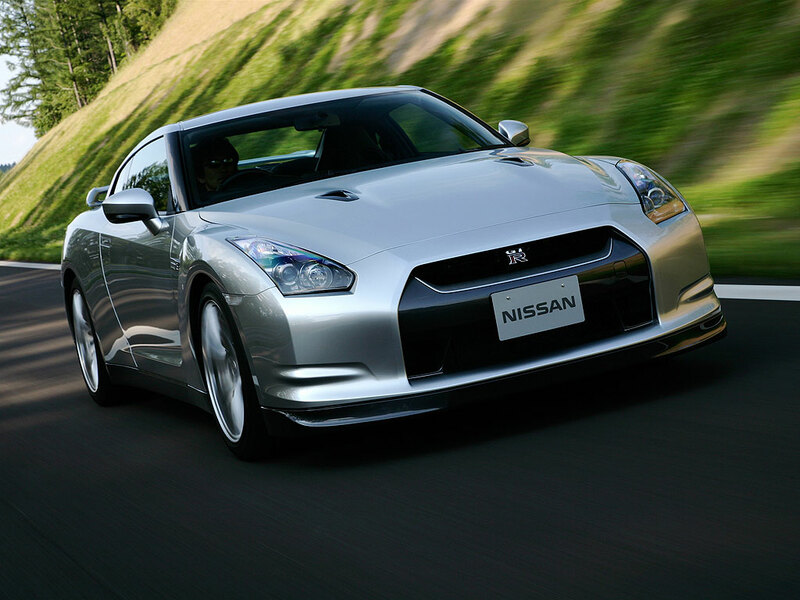 The Nissan GT-R’s functional styling utilizes advanced aerodynamics, evoking the lines of a well-trained athlete. GT-R’s hybrid body construction combines steel, carbon fiber and die-cast aluminum, and features a low coefficient of drag of 0.27, while achieving high front and rear downforce. Styling cues include front fender “aero-blades” and vents, aggressive front end design with a large hood budge and single central air intake, and “super wide beam” headlights. GT-R’s interior balances functionality with a sense of ease and comfort. It features sculpted performance bucket seats for an optimal driving position, a cockpit-style instrument panel with a large center-mounted tachometer and multi-function display – which includes mechanical and driving information, as well as an on-board driving recorder. Total vehicle adjustability is provided by a “set-up switch” located in the center of the instrument panel, enabling the driver to adjust transmission shifts, shock absorbers and the Vehicle Dynamic Control (VDC-R) in three settings – Normal, Comfort or “R,” for ultimate handling. Available is a specially designed 11-speaker Bose® sound system, with speakers mounted in rigid aluminum die cast panels, which provides sound quality suitable for a supercar. When I say that you’ll probably never want a faster car than this, it’s almost certainly true. What makes the GT-R so special though is the price. At two-thirds the price of a full blooded 911 turbo this car is something that you could seriously aspire to. No doubt about it, this is a genuine Japanese muscle car that means, looks and performs the business. I can’t wait to get in one.